Located on Waialae Avenue in Kaimuki, Sacred Hearts Academy is a historic Roman Catholic college preparatory school for girls founded in 1909 to serve the needs of early Hawaii Catholics in the former Territory of Hawaii. This school is widely known for being the home of the largest all-girls marching band in the United States. 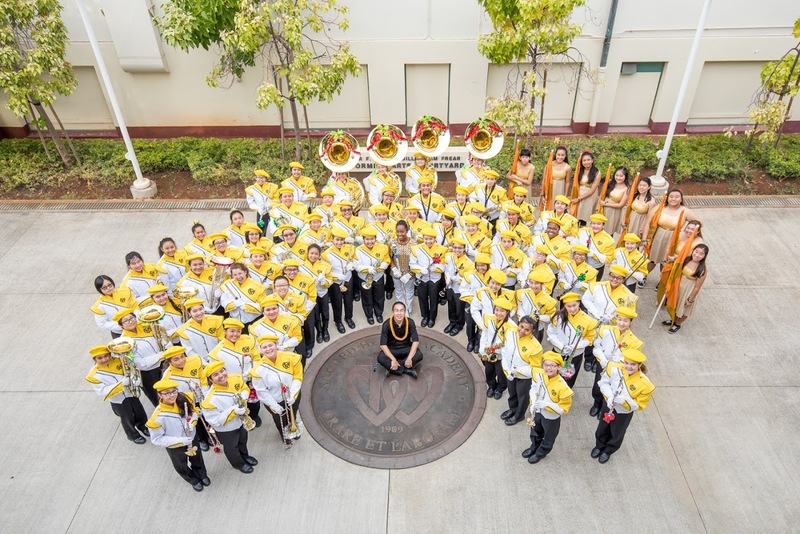 The marching band won first place in the 2008 Aloha Festivals Parade and in 2012 for the performance of Hawaiian music, and has also performed in the London New Year’s Day Parade in 2009. 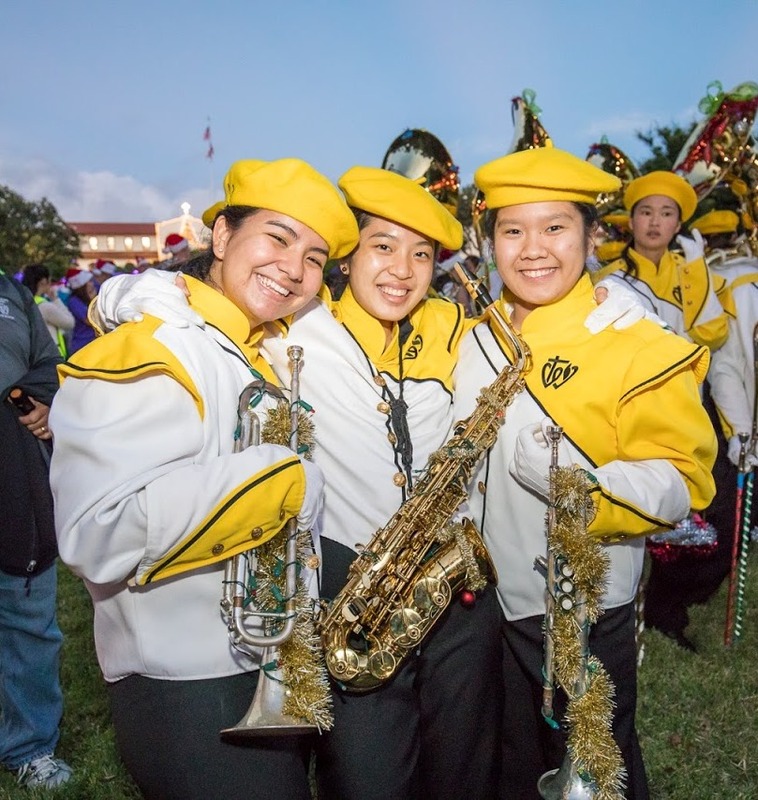 The band also makes regular appearances in the Wahiawa Veterans Day Parade, Waikiki Holiday Parade, and the Kaimuki Christmas Parade. The Kaimuki Business & Professional Association will present the annual Kaimuki Christmas Parade on Thursday, December 7th, 2017 starting at 6:00PM along Waialae Avenue from Saint Louis School/Chaminade University to Koko Head Avenue. The 69 member marching band includes 60 musicians and 9 color guard and is led by Band Director Keith Higaki, with Drum Major Kacey Chong, Drumline Captain Lauren Chung, and Color Guard Captain Logan Shiroma. They will be performing Christmas Parade Sequence, featuring the popular carols Joy to the World, Good King Wenceslas, and Hark! The Herald Angels Sing. Show your Lancer spirit and cheer on the #SacredHeartsAcademy ladies!